Welcome to Albania in the country where everyone can admire and taste the beautiful and pristine nature. The brightness and warmness of the sun, the clean air and healthy climate, albanian hospitality, oldest tradition, its natural and cultural patrimony will engrave in your unforgettable memories. Tirana has been the capital of Albania since 1920. It is relatively new city established in 1614 from Sulejman Bargjini, feudal of the area at the time. The city began to grow at the beginning of the 18th century. Today Tirana is not only the most populated city in Albania, but also the biggest political and economic centre in the country. In central Tirana, on Scanderbeg square there is the old mosque of Ethem Bey built during 1789 – 1823 as well as the Clock Tower, 35 meter high, built in 1830. The Palace of Culture housing the Opera and Ballet Theatre and National Library is next to the main square. 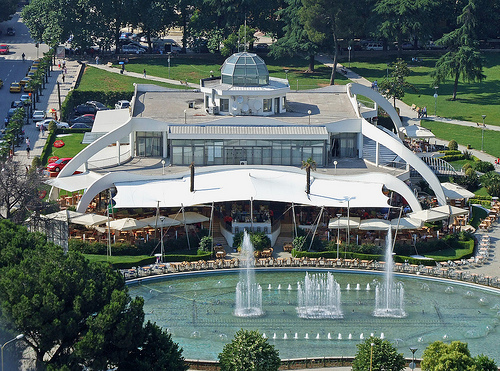 In Tirana there are also other important institutions such as the National Historic Museum, Archaeological Museum, The Museum of Natural Sciences, the Museum of Albanian Philately, the National Gallery of Fine Arts, the Center of International Culture etc. One can enjoy the best view from the “Martyrs Cemetery” which contains the “Mother Albania” monument. The Adriatic sea and Dajti mountain are near to the city. It takes you less than one hour drive to reach the sea. A Great Park with an artificial lake is located immediately at the southern part of the city. 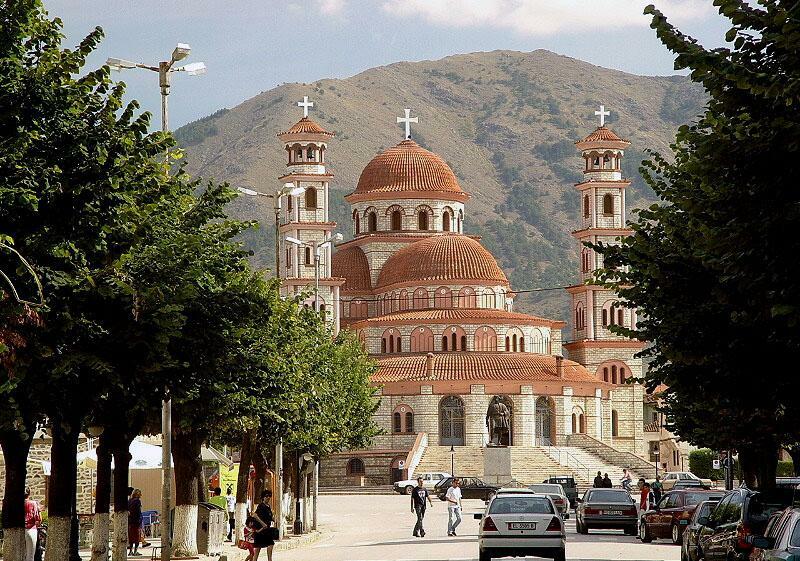 Korca Is the largest city of south eastern part of Albania. It is situated at the foot of Morava Mountain on a plateau 800 m above sea level. It became an important trading and handicraft centre in the 18th century due to the development of trade with neighboring regions. The museum for Medieval Art is in KorÃ§a. 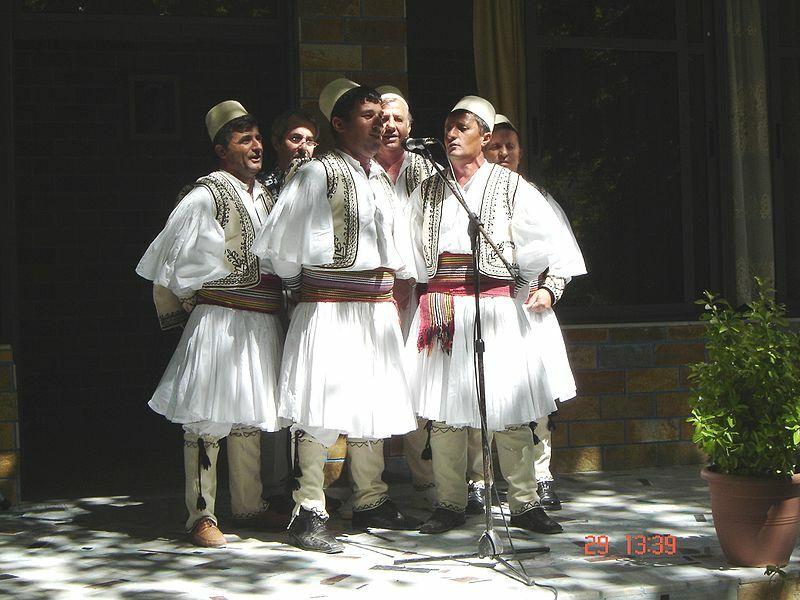 It presents the spiritual and material culture of the Albanian people. There are also the Museum of Education, where the first Albanian School were opened in 1878 and the new museum of “Bratko Collections” with antiquaries from the Far East. Pogradeci is one of the most charming tourist resorts in Albania because of its position on lake Ohrid which distinguishes itself for clear water and mountain views. The koran fish, similar to trout, is found in this lake. Besides the beautiful beach, your stay in Pogradec is made more interesting by the excursion to the tourist centre in Driloni (5 km eastward) surrounded by ornamental plants and trees. Beret is known as “the city of one-thousand windows” and is declared as a museum city. It is on the slopes of the Tomorri mount where the castle of the city rises in a predominant hill. Inside its walls there are dwelling houses and the “Onufri Museum”. Paintings and icons by the outstanding Albanian painter are also exhibited there. The old part of the city has some religious buildings like churches and mosques. Durres is the principal port of Durres is the second largest city of Albania. The city was colonized by the colonists from Corinth and Korkyra in 627 B.C. It was named Epidamnus, which later became Dyrrachium. The most important object is the amphitheatre, the largest in Balkan with 15,000 seats, dating back to the 2nd century AD and containing an Early Christian crypt with a rare wall mosaics . Between the 1st and 3rd centuries Durres was an important port and trading center on the Via Egnatia trading route, between Rome and Byzantuim (Istanbul). After a great number of earthquakes, much of ancient Durres sank into the sea or collapsed and was subsequently built over. Today the city is well known for the nearby beach resort of Durres and its sandy beaches and warm sea waters. Kruja is a medieval town near Tirana. It is on built on the slope of Sari Salltiku mount. The name of Kruja is closely connected with the name of the National Hero, George Kastriot Scanderbeg, who fought against the Ottomans for 25 years in succession, defending European civilization from their threat in the 15th century. At a prominent and strategic place near the city, there is a castle, within is housed the Scanderbeg Museum (National Museum). On the way to the castle there is a medieval bazaar. Gjirokastra is one of the most important cities of southern Albania, has been declared a “Museum City”. It is built on the slope of a mountain and is known for its characteristic and narrow stone paved streets. The dwelling houses have the form of medieval towers consisting a building ensemble with characteristic architecture. The castle of the city stands like a balcony over the city. It enables the visitors to enjoy a very beautiful landscape. The National Museum of Weapons is housed in the interior of the castle. Weapons are produced and used by the Albanian since the ancient times are displayed there. 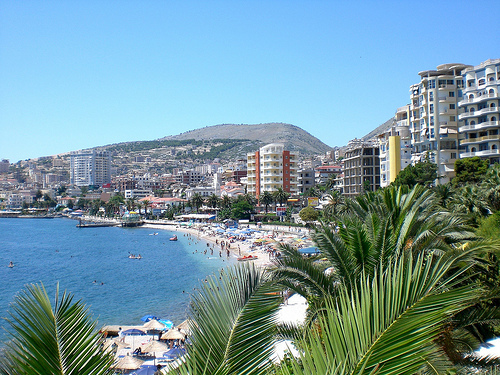 Saranda, Albania’s most southern city. Situated opposite of Corfu island, Saranda is now mostly visited by day trippers who come to enjoy this previously inaccessible resort. 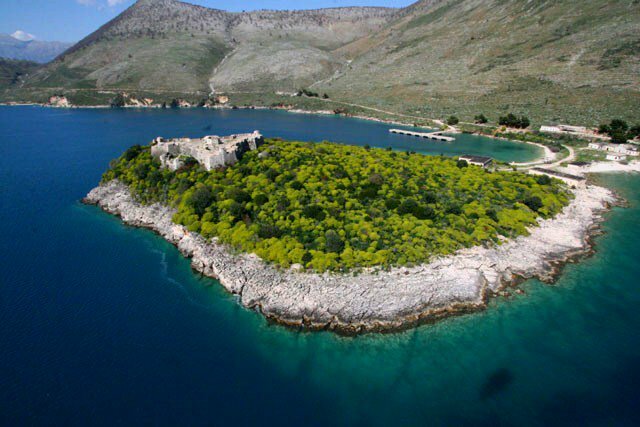 It is one of the most tourist sites in Albania and is very preferable by “honey mooners”. 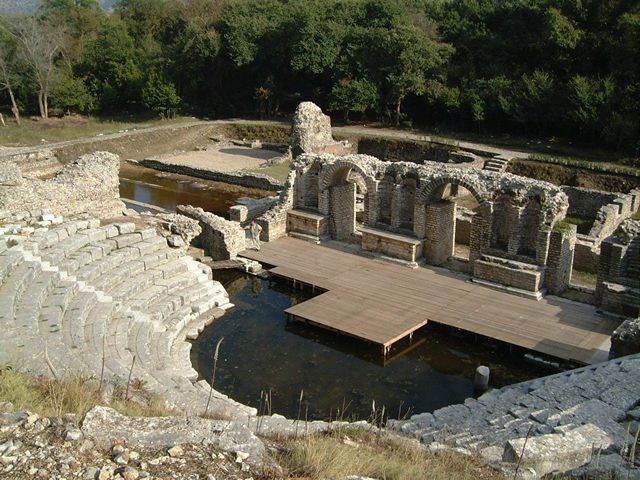 Near Saranda there are the ruins of the ancient city of Butrint and the Springs of “Blue Eyes”. Shkoda is one of the major cities in the north – western part of the country. It is situated near the lake sharing the same name and along the road that leads to Montenegro. It is an ancient city with rich history. One can find old characteristic houses where wood and other traditional motifs are used. Near the city there is the castle of Rozafa built on a rocky hill from where you can see attractive and beautiful views. During your stay you can visit the Historical Museum of the city. Shkodra is a good point to start your trip to Albanian Apls. 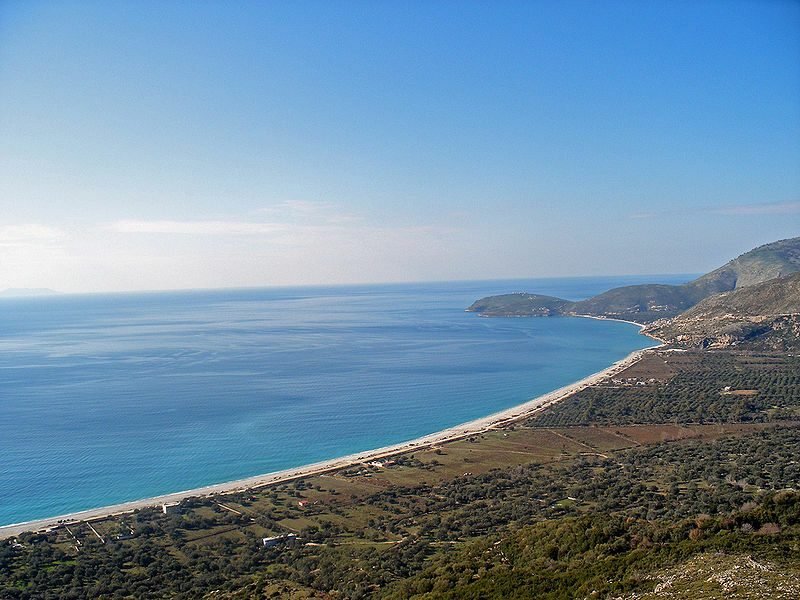 Vlora is a coastal city. It is not only one of the major ports, but also of great historical importance as it was here that in 1912 the Assembly was convened to proclaim Albania as an independent state and to set up the first National Government headed by Ismail Qemali. One can learn more about the background of this event at the Museum of Independence. On a hill above the city one can enjoy the religious place of “Kuzum Baba”. From there you can see the beach and the view of the whole city.